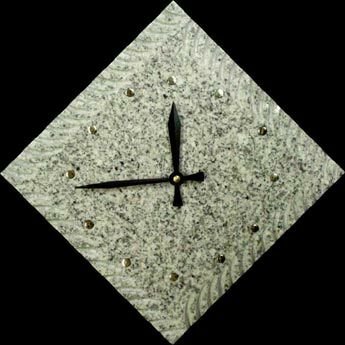 This natural granite stone wall clock is set in a diamond formation. The edges are hand carved into gentlke waves, which soften the powerfuyl exterior of the stone. Its face is a series of golden stars, which add light and color to the surface of the piece. 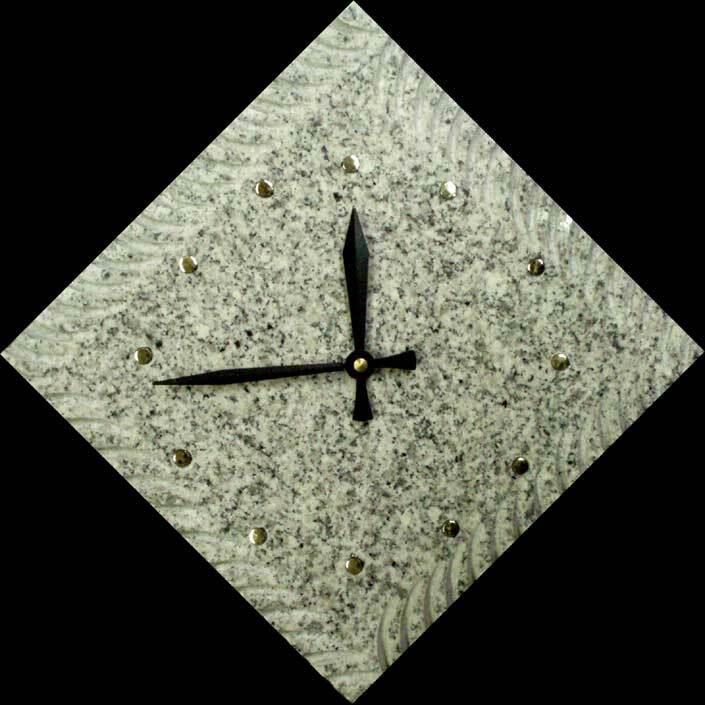 The contrast between the twinkling gold and the subdued natural patterns in the stone create a quietly powerful underplay in this piece.